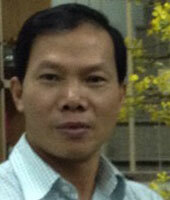 Dr. Dang Huy Quoc Thinh is currently the Vice Director of Ho Chi Minh City (HCMC) Oncology Hospital, Viet Nam. He is also Head of the Department of Radiation Oncology and Head of the Palliative Program in HCMC. He received his medical degree from HCMC University of Medicine and Pharmacy in 1988, and then completed his master’s degree in oncology in 2002 followed by a doctorate in 2013 from the same university. He went on to complete a fellowship at CHU (Centre Hospitalier Universitaire) de Grenoble, France from 1994-1995, and received further training in South Korea, Singapore, USA and Switzerland. He also serves as the Vice-Secretary General of the HCMC Cancer Society, Executive Council Member of the VN Cancer Society and HCMC Pain Society; Executive Council Member of the Asian Clinical Oncology Society (ACOS); Study Member on Nasopharyngeal Cancer (NPC) of the Forum of Nuclear Cooperation in Asia (FNCA) and Consultant Member of the International Atomic Energy Agency (IAEA)’s Advisory Group on Increasing Access to Radiotherapy Technologies in developing countries (AGaRT). Thanks to the support of Dr. Eric Krakauer, Dr. Thinh has been a pioneer in developing and implementing cancer palliative care in Viet Nam since 2008. He first joined the IAHPC as a member in 2012 and became a member of the Board of Directors in 2016. He has expressed a strong commitment to develop palliative care, not only in Viet Nam but also at international level. In September 2015, at the European Society for Medical Oncology (ESMO) Congress in Vienna, Dr. Thinh’s palliative care unit was accredited as an ESMO Designated Centre of Integrated Oncology and Palliative Care. Dr. Dang lives in Ho Chi Minh City with his wife who is a pediatrician, and two daughters. He enjoys running with his wife every morning in the park near his house.